Features : Equipped with a 2.5” LCD screen to give a clear display of standard curves and groups of results. Can set up various standard curves according to customer’s solutions and find the concentration of unknown solutions. Can display wavelength, absorption and transmittance with 5 results per screen. It also has a memory store of up to 200 results. 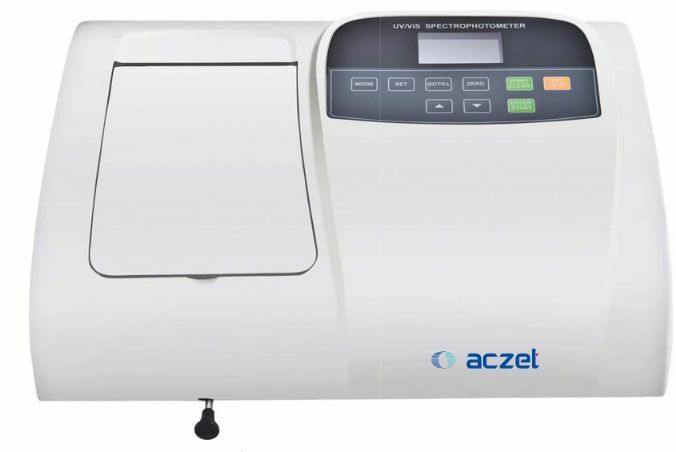 Equipped with USB port to connected with a PC to display spectrum scanning, kinetics and multi wavelength testing results on the screen. The software is optional. AUV-5 is equipped with imported deuterium lamp which ensures low stray light, photometric accuracy and is easy to be replaced. Users set Wavelength automatically through arrow keys to avoid operation errors.